You do the best you can to stay healthy. You might exercise, eat right and get enough sleep at the end of a long day; but while you may take the proper measures to maintain a healthy lifestyle, you could still find yourself unable to practice medicine due to an unforeseen illness or injury. To safeguard against losing your ability to work, protect yourself on and off the job with these types of disability insurance. If you own a private practice or are a partner in a small healthcare group, how would you keep your practice up and running if you were to fall ill or sustain a serious injury? Learn how you can receive up to $15,000/month in practice overhead coverage through the AAFP. If you’re the sole owner of a practice or are considered a high-value employee – meaning you are essential to the success of the business – you may need key person disability insurance. This type of insurance is meant to help offset the costs that may be required to replace you or important staff members as well as any losses you may sustain if you are disabled. Your practice can use the benefits to hire a temporary replacement, like a locum tenens physician, should you suffer a short-term disability or illness. 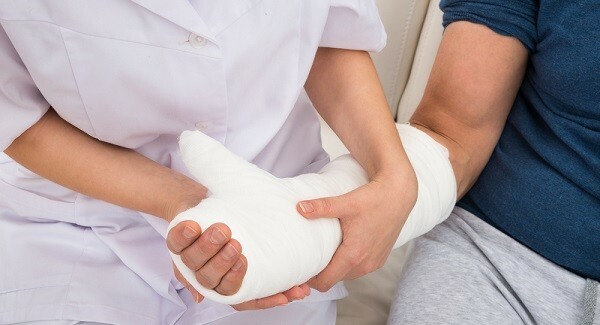 In the unfortunate event of a permanent disability, benefits would then be used to help cover costs related to hiring a replacement, such as recruitment, training, loss in revenue, etc. Would patients leave the practice if they were no longer there? Would business continuity be affected? Would there be a significant loss of revenue? Do other employees have the training, time or legal capacity to perform these responsibilities? Does your practice have savings to cover the costs of locating, hiring or training a replacement? In addition to offering health and dental insurance, it is also a good idea to offer your employees disability income insurance. Accidents or illnesses can happen to anyone in the workplace, or in this case, the doctor’s office. Practice partners, assistants and your administrative staff are all vulnerable to the threat of disability. And if one of them is unable to perform his/her duties, you’ll want to provide them with the resources needed for a speedy recovery. Employer group disability insurance gives your employees peace of mind, allowing them to pay their medical bills and household expenses without worrying about gaps in income. Offering disability insurance is also a great way to attract top talent to your practice and can be included as part of your employees’ benefits package. To expand on the previous section, if you’re an employed physician who receives employer-sponsored disability insurance, is it enough to cover all of your expenses should you be unable to work? While you should absolutely take advantage of this coverage, you should also consider getting individual disability insurance. Why? Having your own insurance allows you find coverage that fits your specific needs, not the needs of your employer. For example, Individual Disability Income Insurance offered by the AAFP gives you access to a comprehensive list of coverage options so you can get a customized plan that protects you, your family and your lifestyle. And the best part about having your own coverage? It’s portable, which means it goes where you go. Unlike employer-provided coverage, individual plans stay with you even if you switch jobs, so there will be no gaps in coverage. As a practice/business owner, you probably hired a few hard-working employees. If any one of them were to become seriously sick or injured, how would you be able to run your practice? In all states (with the exception of Texas) an employer is required to have workers compensation insurance, depending on the number of hired employees a business has. This insurance pays for medical care and replaces a portion of lost income for an employee who suffers from a job-related injury or disease, regardless of who was at fault. In return, employers get protection from lawsuits by injured employees who may seek money for pain, suffering or mental anguish. Whether you’re the owner of a small town family practice or an employed physician at a large healthcare group, disability income insurance is something you should heavily consider – no matter where you are in your medical career. Accidents happen, and you’ll want to be prepared for anything that may come your way. Still not sure what kind of insurance is right for you? Visit our Disability section to learn more. Tell us: Are you considering disability income insurance? If so, why?